From France comes the art of Laroche. 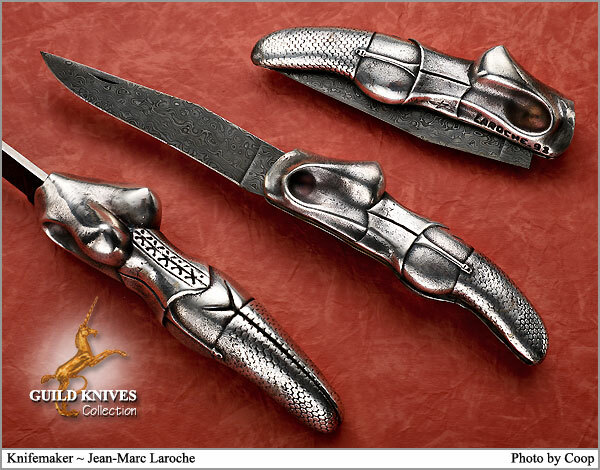 His sculptures are running into the five figures and more, so he is not making knives anymore, so they are sure to appreciate. The sculpture is quite unusual, and I have never seen a knife with this much Freudian connotation. A bit shocking and surreal, but singular in its expression of the female form with its paraphernalia. Reptile damascus is used for the blade.